Hey, y'all! This past weekend was the weekend that I have been waiting on for months. 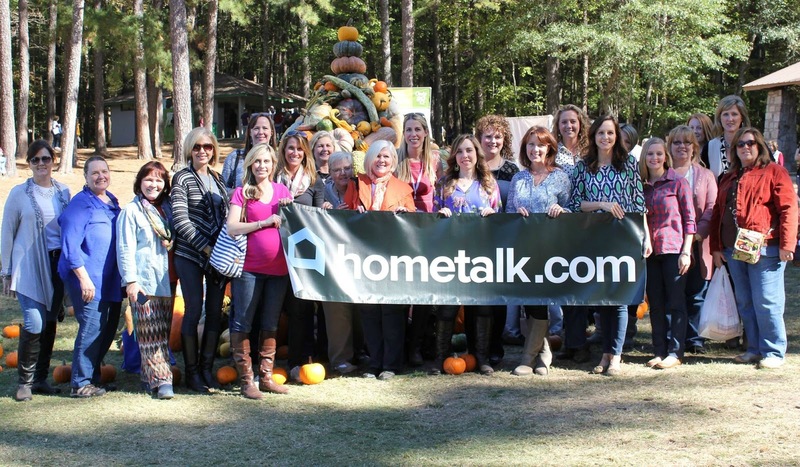 I met my bloggy bestie Kirsten from Sweet Tea and Saving Grace in person for the very first time, and as if that wasn't exciting enough, I was able to visit the Country Living Fair for the first time courtesy of Hometalk and Country Living (Thanks, y'all!). I was so inspired by every single booth at the fair. Being around pretty things just rejuvenates me. Really. It's like they just feed my soul. 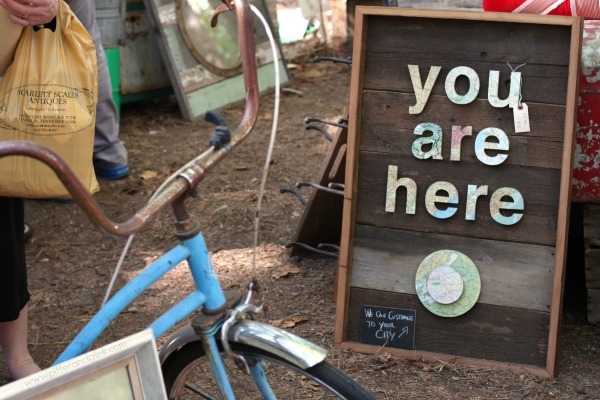 I know some of you feel the same, so I have some really lovely, inspiring photos from the fair to share with you. When Kirsten and I first arrived at the fair, we had to take a selfie. Unfortunately, this is the only picture we took together all weekend, which makes me sad. We were just too busy having fun to take pictures together. I think that's a good thing though. Anyway, the weather at the fair was gorgeous, and it looked like fall all around. There were pumpkins everywhere! 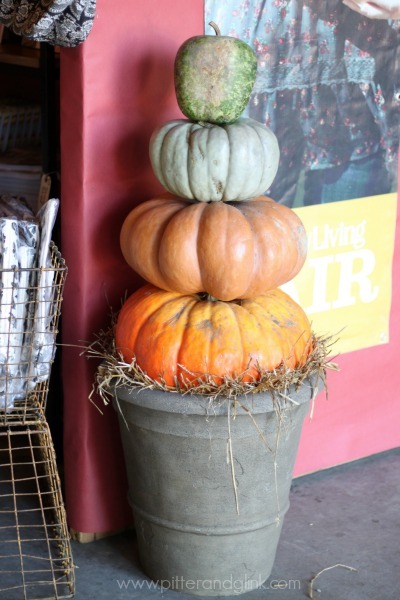 I loved this pumpkin topiary. 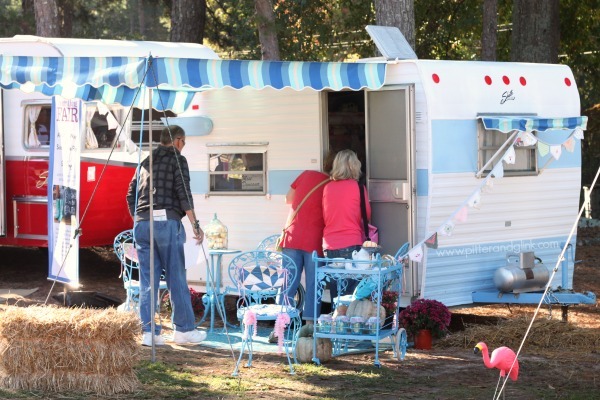 After taking in all the fall sights around us, one of the first things we saw were some of the cutest little vintage trailers near the entrance. This one was my favorite. The outside was country shabby chic, but my favorite part of the trailer was the inside. 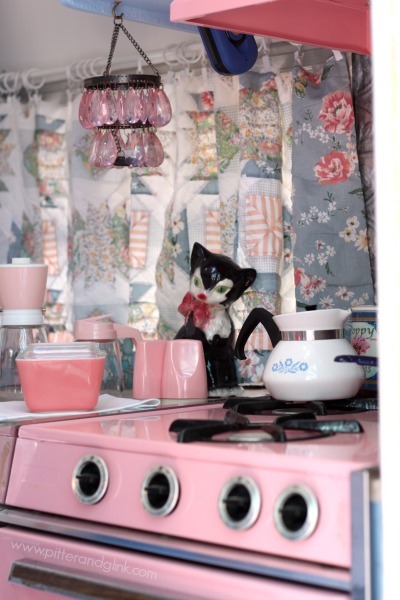 It had a pink stove, y'all! The lady who owned the trailer was kind enough to talk to me and Kirsten about the trailer. She said her husband had the stove sandblasted and painted pink for her as an anniversary gift one year. I'm sure he won the husband-of-the-year award that year! 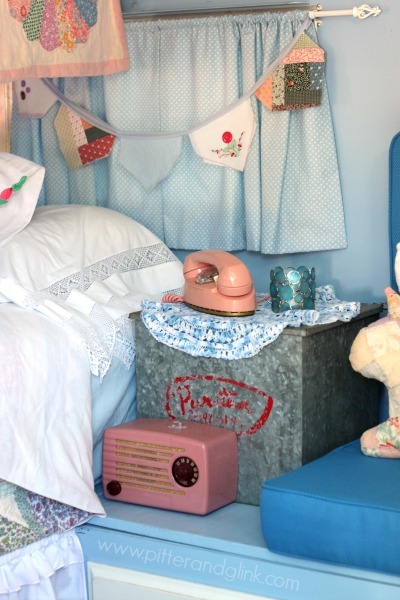 The little bunk area of the trailer was cute as well. After we looked at the trailers, we started our treasure hunt. This was one of the very first displays that caught my eye. I have to admit that my eyes were bouncing everywhere though, and I felt like I couldn't fully absorb all the awesomeness that was right at my fingertips. I loved this table setting mainly because of the layers. I love the book as a base for the pumpkin and nest. And I thought the white paint covered paint brushes were so fun. 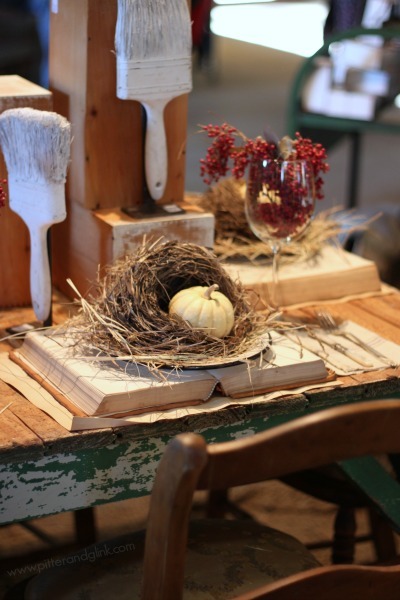 I never would have thought of covering paint brushes in white paint and using them as decor! 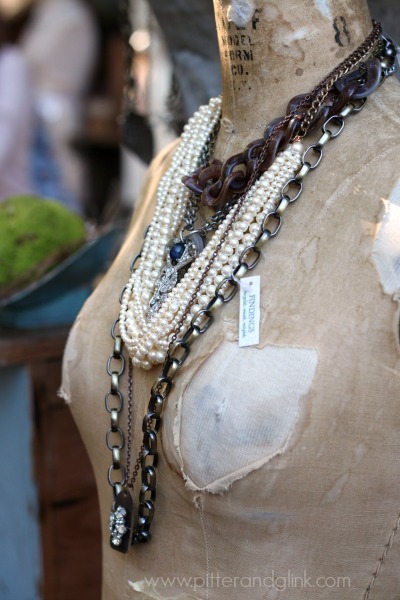 There was pretty vintage and vintage-inspired jewelry all around. If you know me, you know I love jewelry. 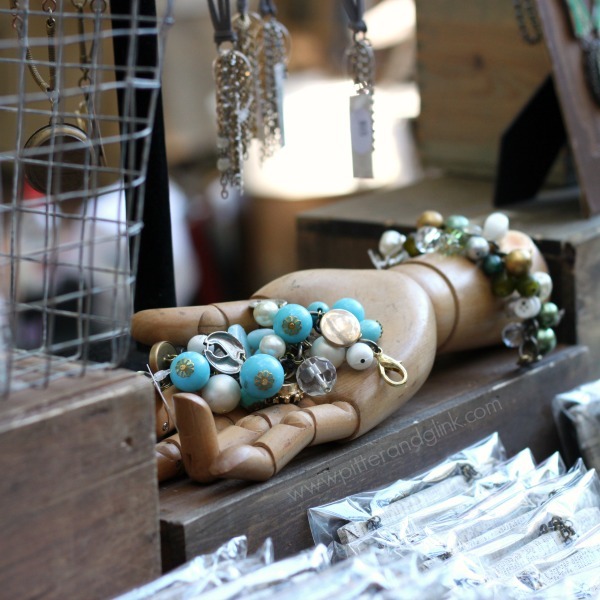 One of my favorite jewelry booths was the Findings booth. Every single piece of jewelry in the booth was simply breathtaking. I bought myself a necklace that I ADORE. This little jewelry display was inspiring to me. (I need to find myself one of these wooden hands now.) 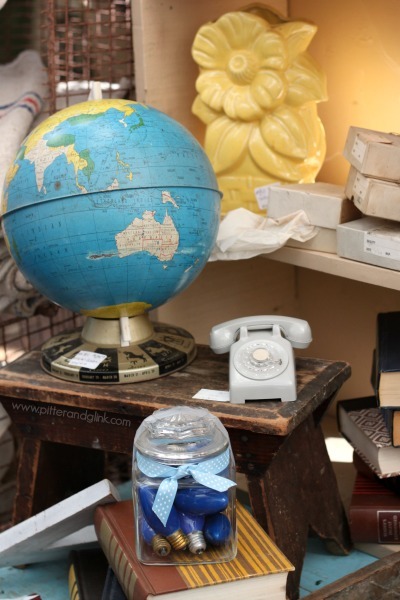 There were so many other types of displays at the fair too. This handsome gentleman caught my eye. 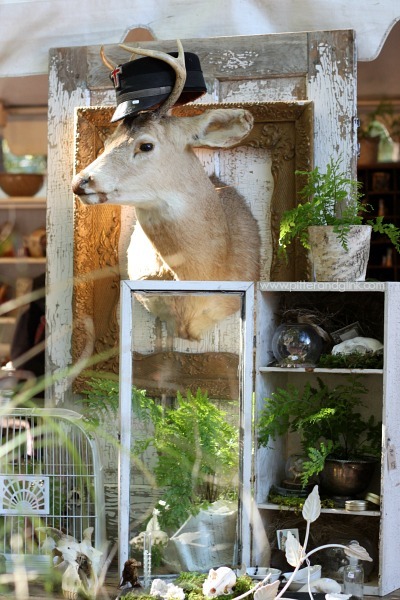 Don't you just love how the background of the display is a chippy door and the deer is framed by a gorgeous vintage frame? Deer seemed to be everywhere at the fair. 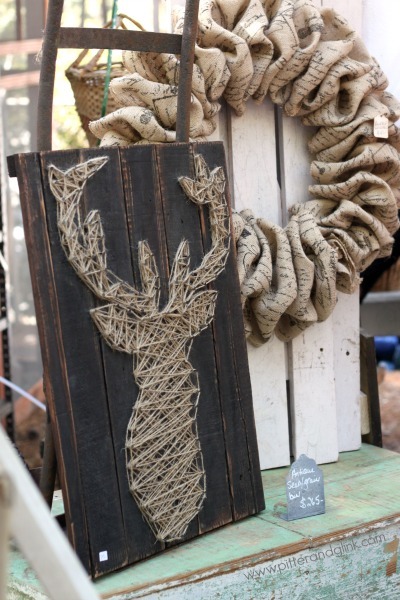 There were string art deer. 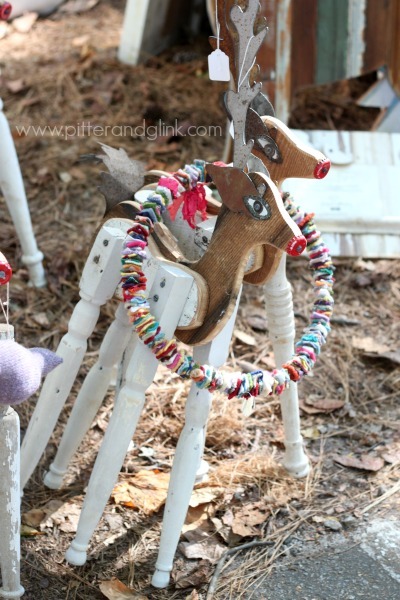 And salvaged wooden deer. 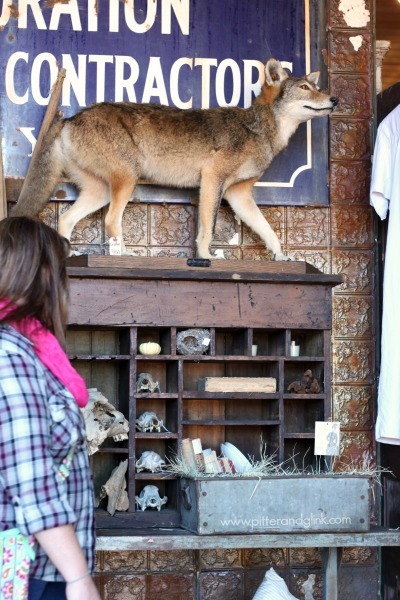 And, y'all, there were also the COOLEST vintage displays with layers of treasures. Each one of the displays made me feel the need to stop and stare to take in each of the pieces that composed the lovely vignettes. I loved the teeny tiny phone in this display. And I loved the creamy neutrals in this display. 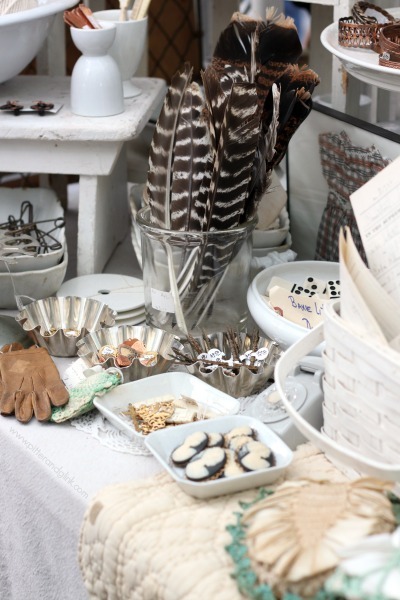 Kirsten and I noted that feathers were definitely on trend, specifically these brown and white striped feathers. Birds were popular too. This display was gorgeous. 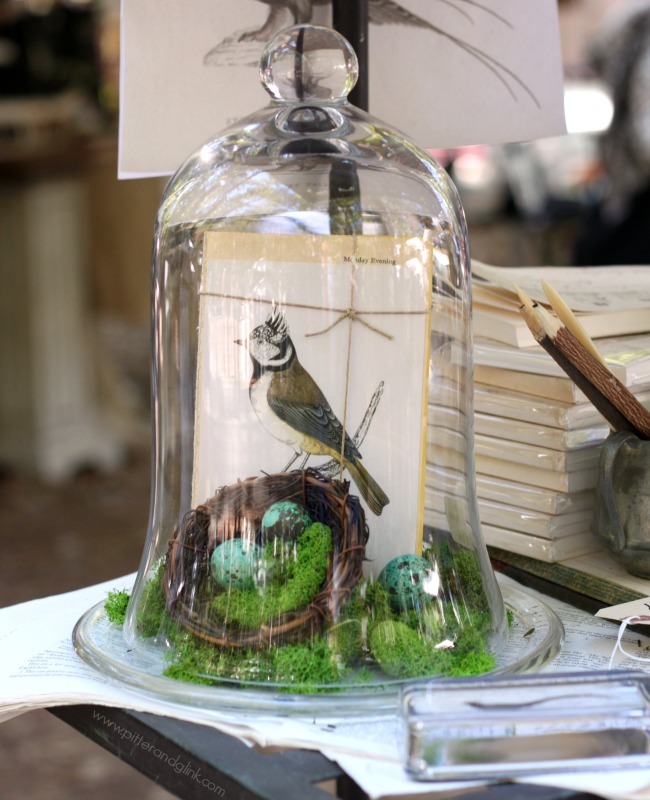 I love how a glass cloche can instantly turn a grouping of items into a beautiful, unified display. 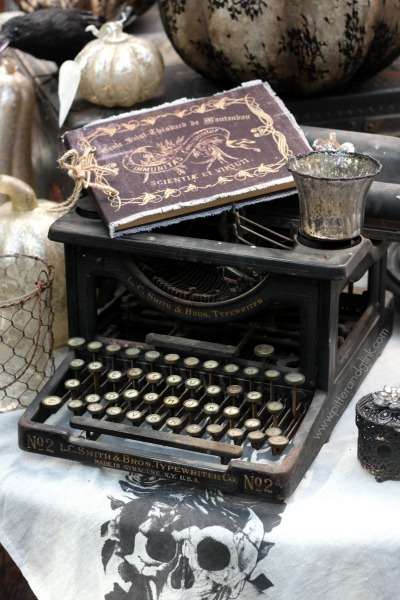 There were a few Halloween displays like this one with this awesome vintage typewriter. And, of course, there were many Christmas displays. 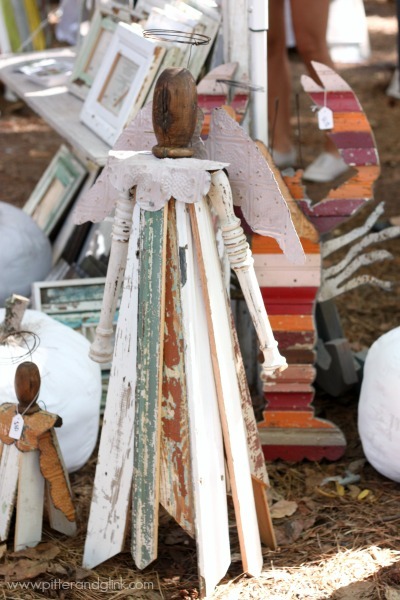 I LOVE this angel made from salvaged wood and tin. There was definitely not a shortage of unique art. This piece from Dilley Brand was so cool! There was just SO MUCH to look at. Now I see why the fair lasts for three days. I'm pretty sure you could visit each day and find new treasures. Before we left the fair, we had the opportunity to meet the editor-in-chief of Country Living Magazine, along with a large group of bloggers. 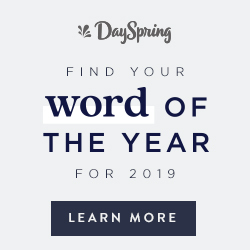 I enjoyed hearing Rachel, the editor, talk about the creative process of the employees of Country Living, and I loved meeting fellow bloggers. I had the best time. 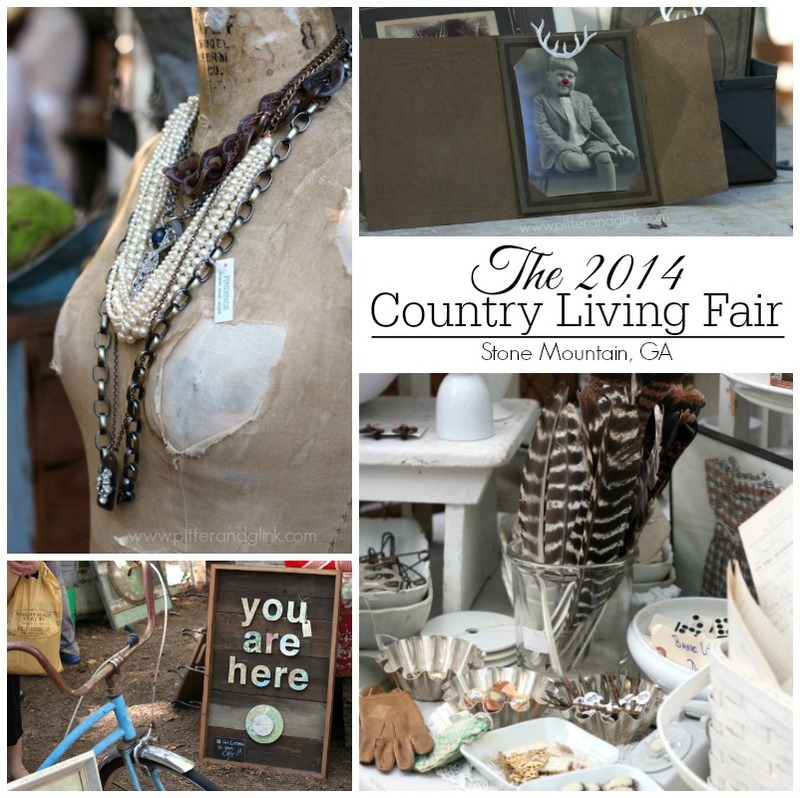 If you ever get the chance to visit the Country Living Fair, I would strongly suggest you go. If you have even half as much fun as I did, you'll have a blast! Your pictures are amazing! I've only been once--- LOVED it! Very inspiring! 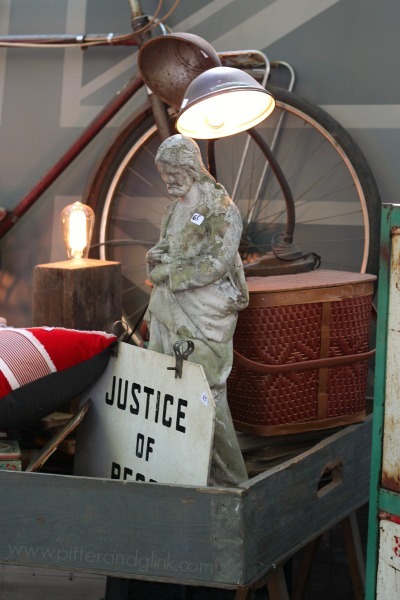 Isnt the country living fair wonderful? like no other really. I hate craft shows and this just is NOT a craft show. I had a great time in sept when we went to the one in OHio. Im already looking forward to next years. and you are right.. it does feed the soul! 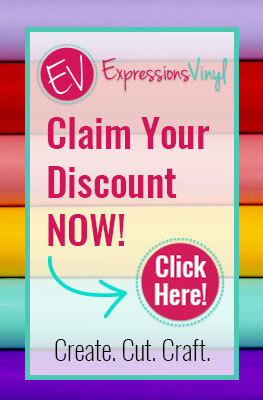 so much inspiration and eye candy! OH! 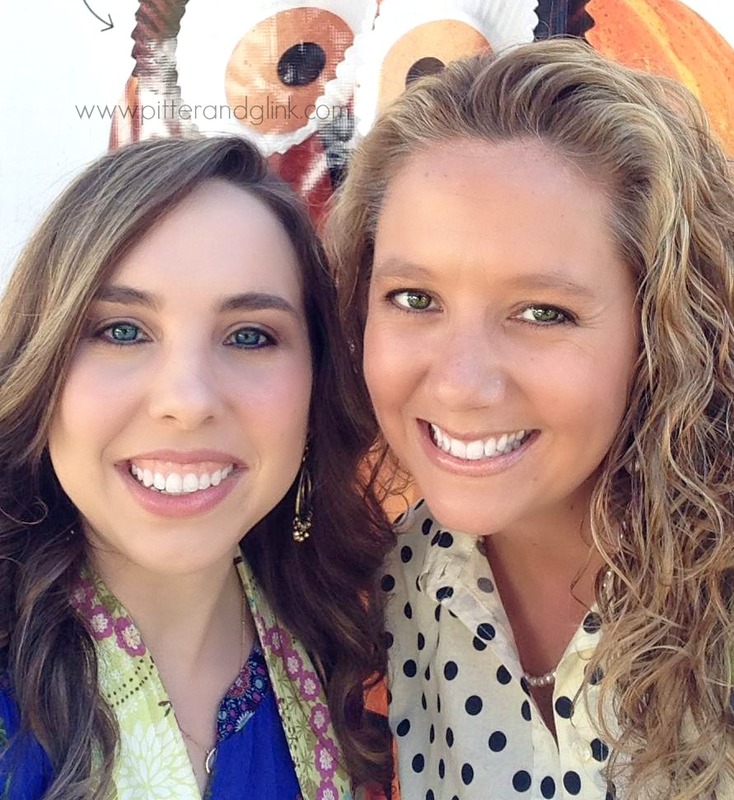 and always wonderful to meet up with a bloggy friend! Wow, your photos are stunning.....I so wish I could have attended. 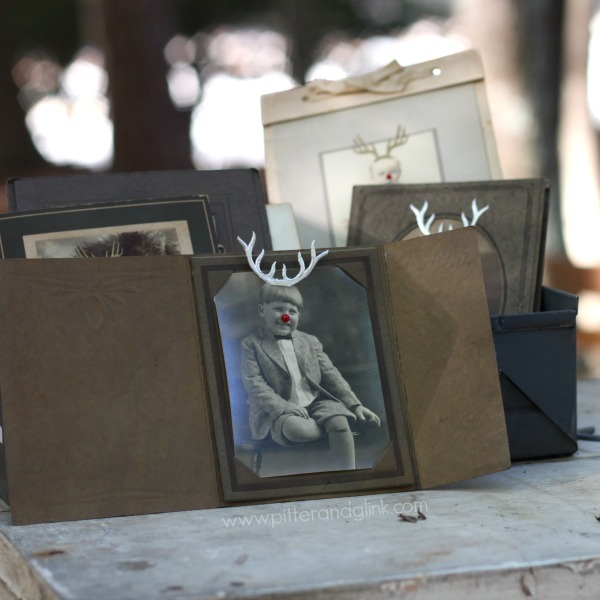 What fun and so much inspiration!